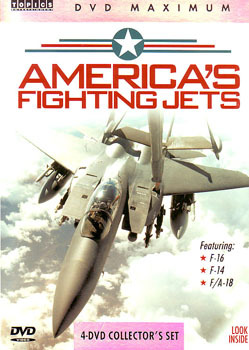 America's Fighting Jets 4 DVDs - The definitive series on aircraft that daily stand guard in defense of freedom. Experience the world of the U.S. Air Force combat pilot, real Top Guns, see jets of the Cold War, and top secret spy plane. This 4-DVD collectorï¿½s set features intense archival footage of planes, pilots and crews in action.